16v AC operated point-motor. 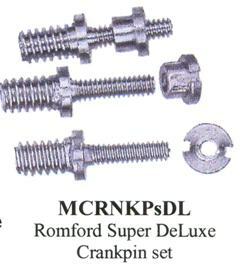 Suitable for `N' and `HO' All codes of rail. 1 unit per point., 2 for a Single crossover. 4 for a Double Crossover. Overall motor length 5.5cm : Body length 4.5cm : Width 1.2cm : Height 0.8 cm. A twin-pack of universal point levers specially designed for Shinohara turnouts with mounting screws. 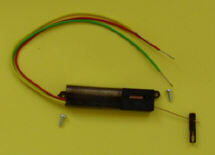 PECO point motor with extended drive pin plus PECO adaptor base with over-centre spring. This is sold as a pack to enable Shinohara points to be electrically operated from below. The items are not available separately from Scale Link Ltd.
SEEP point motor with extended drive pin plus over-centre spring and 2-way switch. This is sold to enable Shinohara points to be electrically operated from below the baseboard. An original Wrenn point lever. ONLY AVAILABLE WITH A SHINOHARA POINT. A simple but effective hand-operted point lever. Best used with an Omega loop..